She’s back. Last night around 11 PM I heard the hoo-hoo-hoo-hoo of our periodic visiting owl. From her call, my guess is that she is a great horned owl, but try as I might, I can’t spot her in the dark night. She typically is heard on several consecutive evenings, sometime around midnight, and then is gone for weeks. Her call, as well as the fact that I can’t see her, is intriguing and a little spooky. 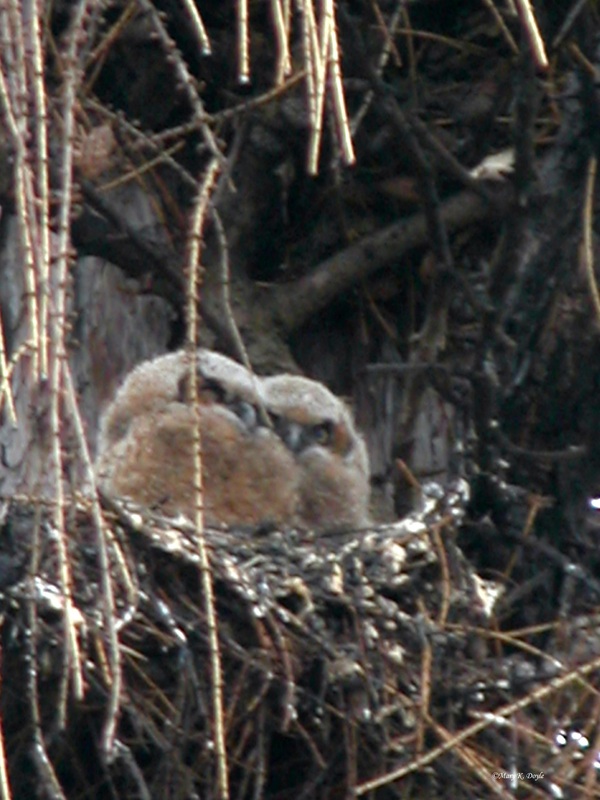 For several springs in a row, a mother owl nested high in a tree outside of our town courthouse. 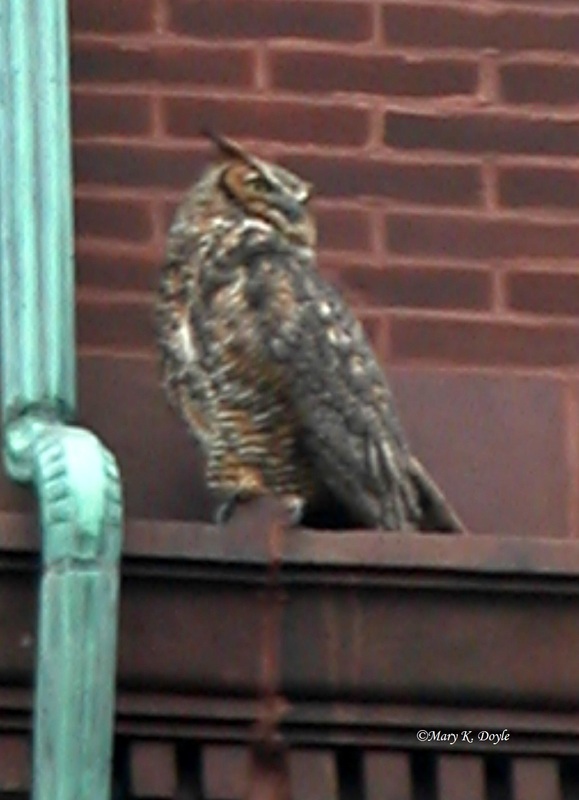 It was exciting to watch the babies in the nest and the mother perched on the courthouse watching us. I wonder if the owl who visits us is one of the owlets I admired years ago. Nature offers us an abundance of wonders to entice the senses. Take a moment to enjoy the sights, smells, and sounds of life that surround us.